I carry a kit like this on every camping trip. I rarely have to use anything in it but I know it’s there of I have no other options. “Contingencies” (someone forgot a flashlight, wet weather makes fire building difficult, etc.) are much more common than actual emergencies on Scouting trips. 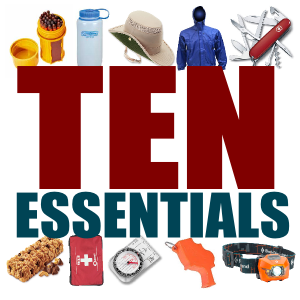 I recommend a first-aid kit supplemented with a few other items on the ‘ten essentials’ list: a spare flashlight, spare whistle, trail food, matches, and fire starters. This kit is your Scout’s ‘air bag’ – it’s essential but you hope, like the air bag in your car, you’ll never need it. While it is possible to assemble a first aid kit from things you have around the house or pick up at the pharmacy, I’ve found that a carefully chosen pre-made kit is usually cheaper. 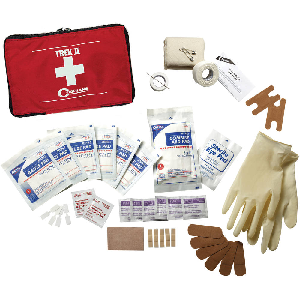 The Trek II kit comes with an excellent selection of basic first aid materials in a zippered nylon pouch. There are many water bottles out there; this one is the best. 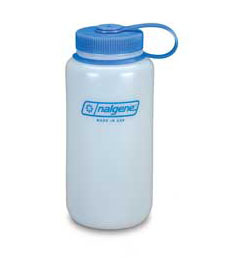 Its wide mouth is ideal for adding drink mixes and makes the bottle easy to clean. I have never had one leak, it is virtually indestructible, and the loop retainer guarantees the cap won’t get lost. 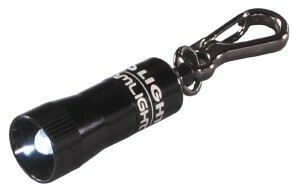 A spare flashlight essential. The streamlight Nano is simple, has replaceable batteries, and 10 lumens is powerful enough for most camp chores. Pack a spare set of batteries. Scout-aged children need to eat regularly (especially between meal times) during high-energy activities. Scouts should carry a few granola bars, protein bars, trail mix, or other compact, high-energy, high nutrition food (avoid sugar-based snacks). These items are found at nearly any grocery or convince store. In addition I recommend carrying a couple of nutrition bars in the Contingency & First Aid Kit. In direct sun in hot weather sunburn and some level of heat exhaustion are common. Scouts are usually blissfully ignorant of this until it overtakes them! Staying hydrated, using sunscreen and wearing a broad-brimmed hat are important. Scouters are about as successful getting Scouts to think about these things as parents are (so – not very successful most times!). Our chances of preventing these problems increase if a Scout, especially those prone to sunburn, carries sunscreen and a hat. 3″ brim UV blocking (UPF 50+ rating) with sweatband and mesh vent panel. 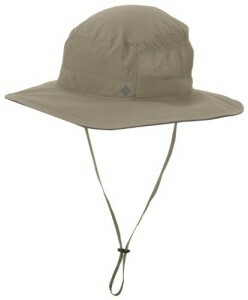 Constructed of textured nylon poplin with polyester mesh lining to dry quickly. Features a toggle and chinstrap for adjusting fit. There’s a slim chance that a Scout will become lost or separated from his fellow Scouts. We train them to stay put and use a whistle to let us know where they are. 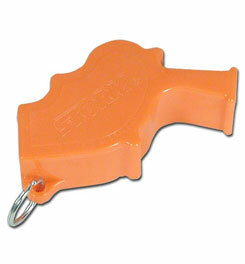 The whistles I have chosen below are designed for just such an emergency. Not the cheapest alternative, but the absolute best whistles I can find and worth every cent. The Storm Whistle is the loudest whistle in the world; I’ve used one to signal canoes that were separated from our group a half a mile or more away and out of sight. They heard the signal clearly. 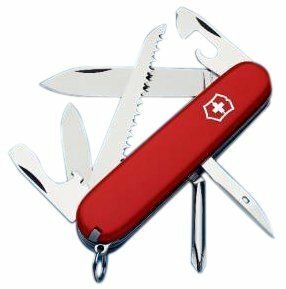 There is not one absolute best pocketknife for every Scout in every situation, but any one of the three Victorinox Swiss Army Knives I have chosen is an excellent choice. A decent knife will last a lifetime but parents are tempted to buy cheap pocketknives because Scouts may lose a knife or two along the way. Cheaper knives don’t stay sharp, have loose joints, and I have seen them break or fold up and injure Scouts accidentally with normal use. 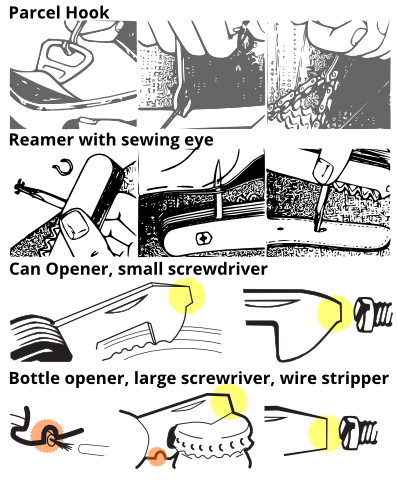 A sharp knife is actually safer than a dull knife. 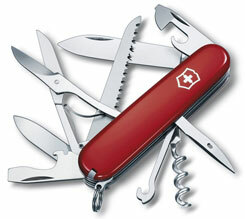 Victorinox produces quality knives at a reasonable cost and guarantees them for life, a bit more expensive than cheaper alternatives, but well worth the additional cost. 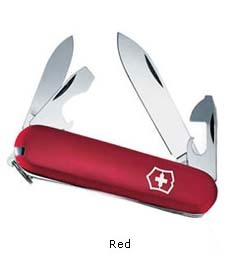 A bright red knife is less likely to be lost, especially if it is attached to a lanyard. Lanyards are great fun to make, and a cheap way to protect your investment in a quality knife. This package of twelve 5 in. sticks made of a composite of sawdust and paraffin. I recommend packing two or three in the Contingency & First Aid Kit. There are any number of alternatives; many can be made at home. I think Scouts should make their own fire starters because it’s great fun! I recommend these because they are proven. 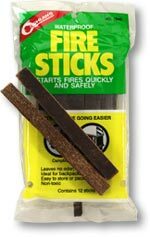 If you need to get a fire going in difficult circumstances, you want a proven fire starter. 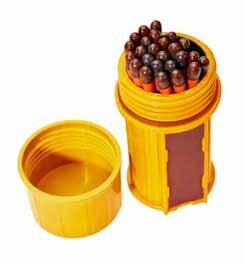 25 Stormproof matches and 3 strikers in a waterproof container. Unlike other “waterproof” or “windproof” matches, UCO Stormproof Matches are easy to light even after being submerged in water, and stay lit for up to 15 seconds. These are not for everyday use, but should be included in the Contingency & First Aid Kit. You can get the container in green or yellow – choose yellow, it will be easier to find if dropped on the ground. Dimensions: 1 1/4″ x 3″, weight 1.7 oz. Scouts must learn to use a compass and map together in order to advance in rank but which compass is best? Not all compasses are created equal. Compasses come in many forms, some more useful to Scouts than others. Cheaper knockoffs of popular styles and brands; they lack some significant features. For example, the capsule (the container for the compass needle) of a quality compass is filled with oil that slows or dampens the movement of the needle. In cheaper compasses, the needle takes a long time to settle. 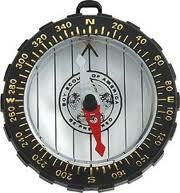 Cheaper compasses often do not have a direction of travel arrow or adequate degree markings found on quality compasses. 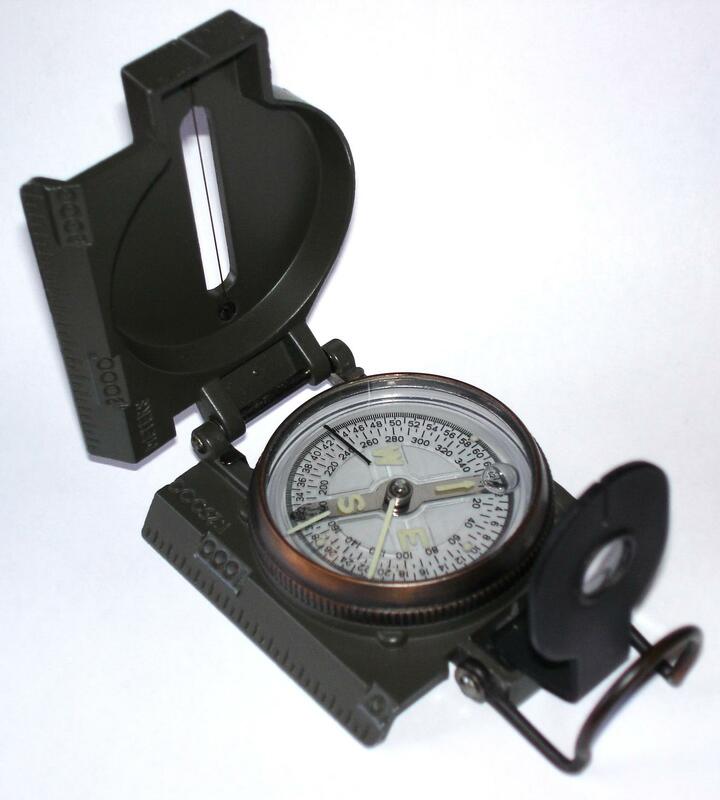 Cheaper compasses are not carefully calibrated or constructed and can be inaccurate . Lensatic compasses are designed for military navigation methods different from Scouting or orienteering methods and are not as useful for Scouts as a base-plate compass. A true mil-spec lensatic compass is ten times more expensive and accurate than the cheaper knockoffs. 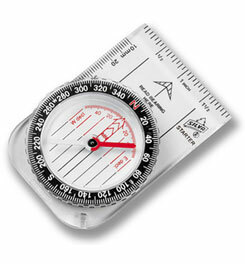 Simple compasses like the Silva Trailblazer are difficult to follow or use to take bearings from a map. Base-plate models like the Silva starter 1-2-3 are the best all-around, least expensive and durable compasses. Resist the temptation to purchase a cheaper knock off – there are some significant differences. The easiest way to set a course is a simple and safe system used by expeditions, youth organizations, mountain guides, armies, orienteers and other navigators the world over the Silva 1-2-3 System®. Place the compass on the map with the edge of the compass along the desired line of travel. Make sure Direction of Travel arrow points towards your destination. Rotate the compass housing until N on the dial points North on the map. Check that the compass housing red/black North/South lines are parallel with the map’s meridians. Hold the compass in hand and turn your body until the red end of the compass needle (North) coincides with the red arrow in the bottom of the compass housing. The front of the compass with the direction of travel arrow is now pointing towards your destination.